is one of the largest galaxies in the Virgo Cluster, a massive group containing more than 1,300 members. With a spatial diameter of 100,000 light years, this face-on island universe lies at a distance of 52,000,000 light years from Earth. M61 (NGC 4303) is an intermediate barred spiral galaxy with an active galactic nucleus (AGN). 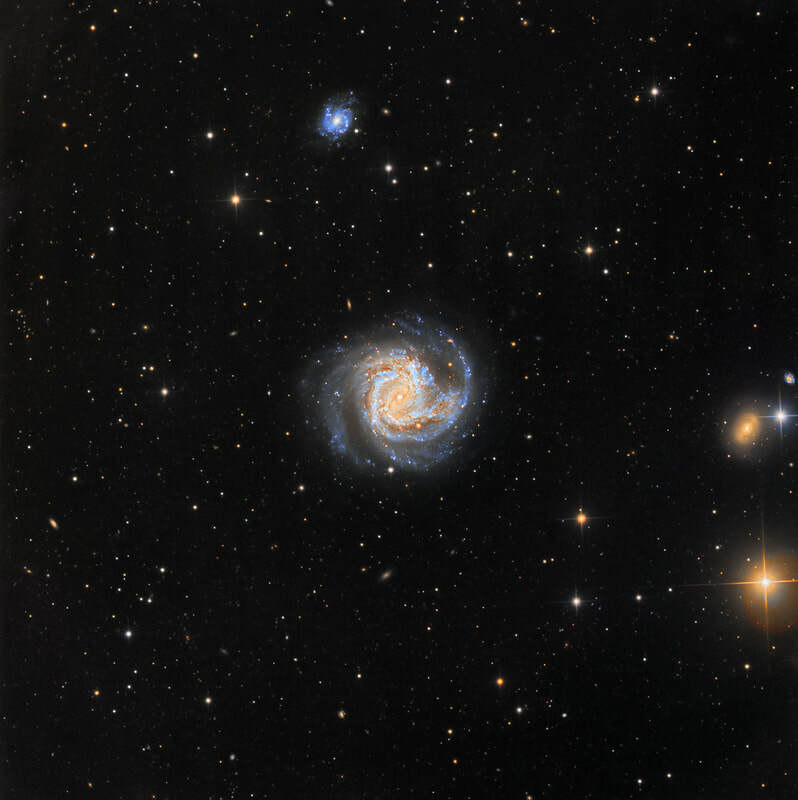 Classified as a starburst galaxy, M61 is undergoing an extremely high rate of star forming activity. The X-ray activity detected in its nucleus leads astronomers to suspect the existence of a supermassive black hole there. This galaxy has also been host to 7 observed supernovas, the most of any galaxy in the Messier catalog! Though 'Comet Ferret' Charles Messier was the first to observe the galaxy, he mistook it for a comet, leaving Italian astronomer Barnaba Oriani to receive the credit as M61's discoverer in May of 1779. This data was acquired in 2018 by my partners at SSRO. Here's a nice description of M61 by my late friend Tammy Plotner, whose passing was a great loss to the astronomy community.